Turn heads with this simple, geometric copper design. 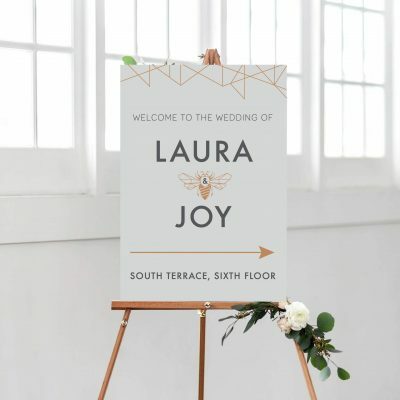 Ideal for a trendy couple planning to make an impact and create a beautiful Wedding to remember. 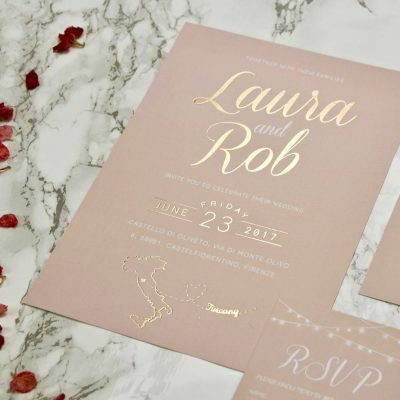 You can add Copper foil as an additional luxury feature. 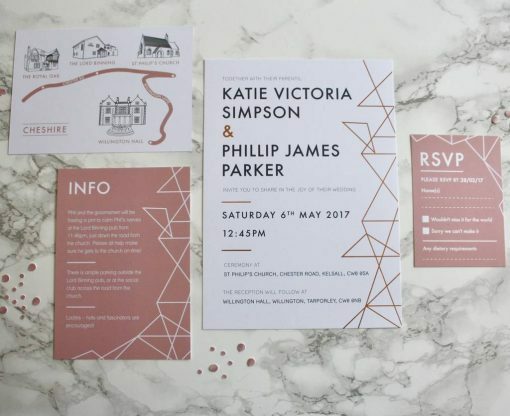 These invites will compliment any copper decorations you may be including on your table or room decorations. 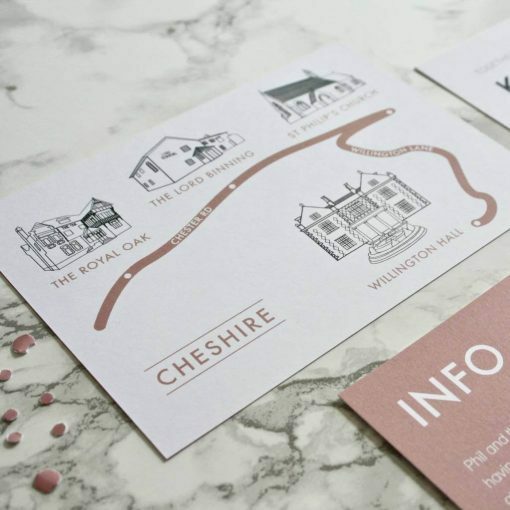 We want to make sure you’re guests will get all of the information they need, so your information will all clearly be set out. 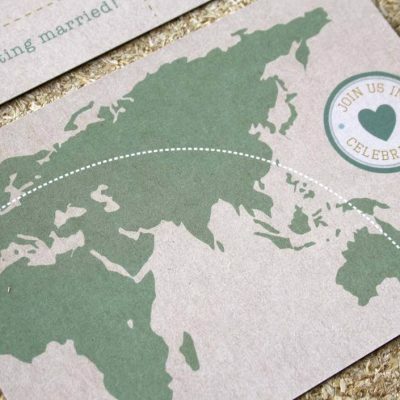 You can also have an option to include an illustrated map for those friends and family who live further away from your ceremony. 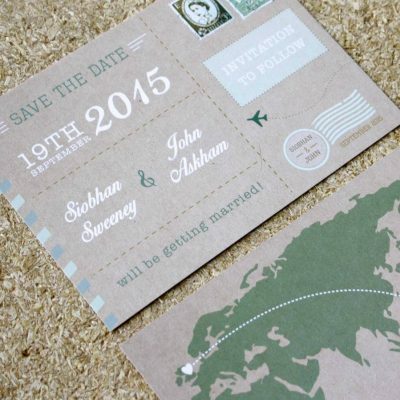 The small RSVP will be perfect for posting back and can include dietary requirements. 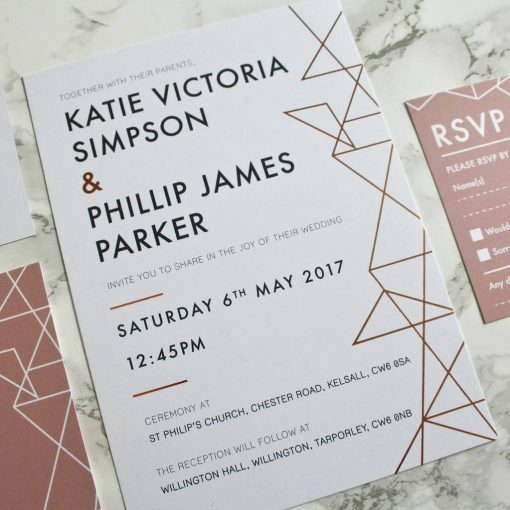 Different foil colours of silvers or golds may be used if copper isn’t your taste, this is no problem as we want these invites to match your wedding day perfectly! 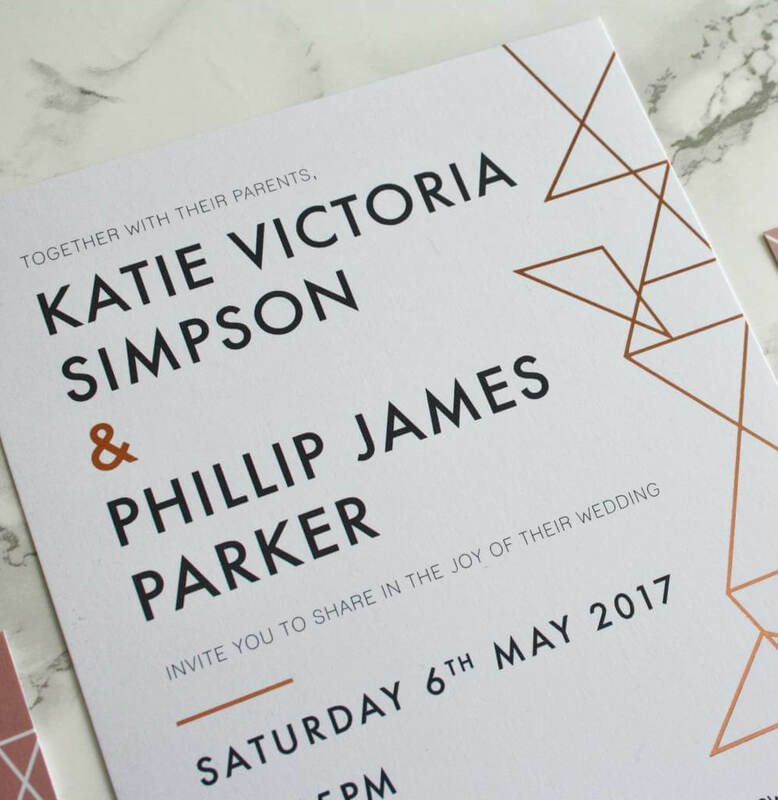 After your purchase, please send through your personalised details and wedding information via email. You are able to customise the text on this invitation, your names, places and dates etc can all be included. 340gsm uncoated card. 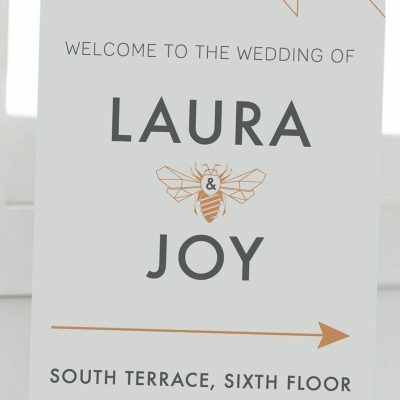 Digital foil will include a matt lamination. Contact us if you would like something a little different, we design Bespoke invitations and would love to hear your ideas! 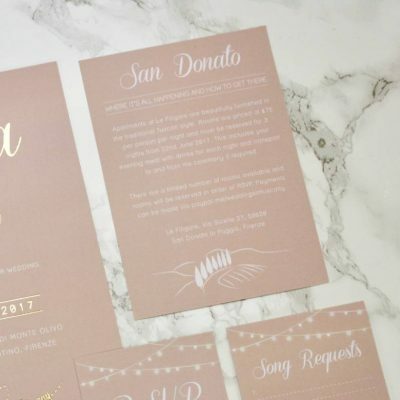 Because your invites can be extra special, please do let us know your ideas!